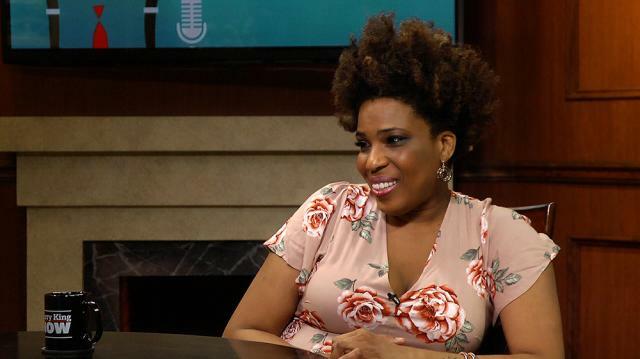 Grammy winner Macy Gray dives into politics with Larry, revealing that although she believes Trump is currently bringing America "backwards," she's still attempting to remain "optimistic" about the future of his presidency. Larry King: Is the current president a backwards step? Larry King: Would you want to meet him? Macy Gray: Mr. Trump? I’ve met Mr. Trump. Larry King: I’ve known him for 35 years. Macy Gray: Really? What do you think of him? Larry King: He’s not a racist. He’s not. Larry King: I don’t understand a lot of his presidency, because it’s not the Donald I know. Macy Gray: Yeah. Well every time I saw him, he was out partying, so I don’t know. I mean it was back in the day, but like I said, he just has made comments that sound racial, or sound sexist, so you can only go by what people tell you sometimes. Larry King: Are you optimistic or pessimistic? Macy Gray: Totally optimistic. I’m someone who hopes he figures it out, or hopes somebody else can step in and take over if he can’t, but I’m not wishing him bad. Because if he fails, we all fail. But you know, I just think he doesn’t know what he’s doing, which is understandable, because he wasn’t a politician before. So that is scary, that’s my biggest issue with him. But it’s also not his fault he got elected, he didn’t elect himself, everybody else did.